Flow (1990) explores how we can experience enjoyment in our lives by controlling our attention and strengthening our resolve. This is achieved by being immersed in an activity or subject that makes us neither anxious (if it’s too hard), nor bored (if it’s too easy). 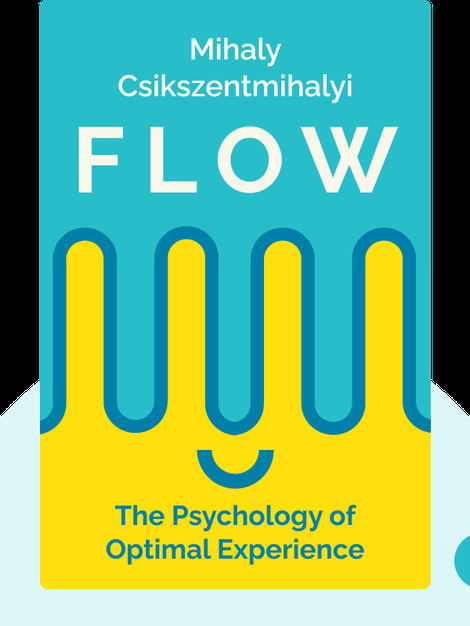 In this “flow state” we lose our self-consciousness, selfishness and sense of time. Using goal-setting and immediate feedback, we can achieve a state of flow that improves our relationship with work, increases our self-worth and gives our lives meaning. 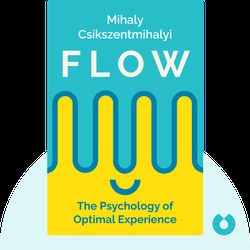 Mihaly Csikszentmihalyi is a professor of psychology with a PhD from the University of Chicago. He has been described as the global leader in research on positive psychology, creativity and motivation. His other books based on this research include Creativity: The Psychology of Discovery and Invention and Finding Flow: The Psychology of Engagement with Everyday Life.